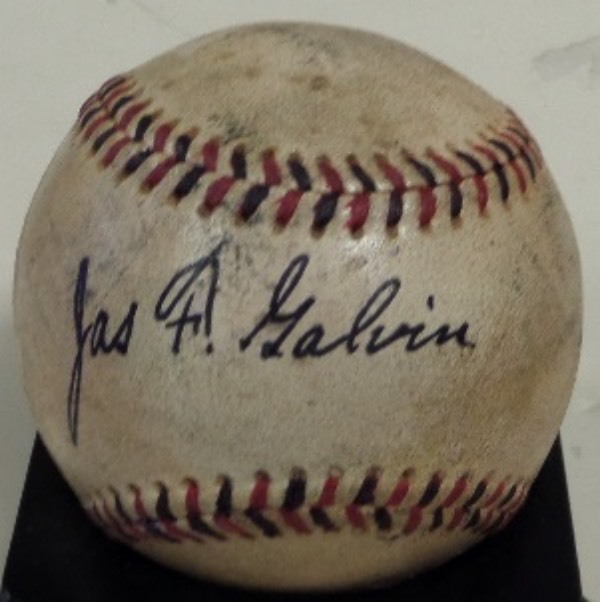 Coach's Corner - James "Pud" Galvin autographed/certified baseball. Go Back to Lot List James "Pud" Galvin autographed/certified baseball. This RARE old red & black laced ball is in VG shape overall with aging evident. It comes signed right across the sweet spot by this legendary hall of famer in bold, black ink and the ball displays wonderfully! The rare gem comes with a signed COA from legendary announcer Mel Allen for authenticity purposes and retails well into the thousands.